So, a few days ago, the moment finally came and my Phase One’s shutter busted during a shoot in my studio. Initially I was very surprised. When you pay a little more than a car on a camera you would expect the shutter to last forever and not be dead after 50 000 shots. But upon my visit to my dealer (Photoservice Montreal, which I recommend from the bottom of my heart as the best service and life savers) I learn that 50k actuation is normal lifespan for the shutter in the Phase/Mamiya 645 body. This is rather sad – it seems though they improved this in the new Phase One XF body. The repais of the shutter will cost a bit more than an average prosumer new camera form Nikon/Canon, so whoever is wondering why medium format shooting photographers charge a bit more than the Rebel-owner, there you go. I also learned that the 5yrs warranty I purchased from Phase One refers only to the digital back while the body itself is 1yr/100k actuations only. 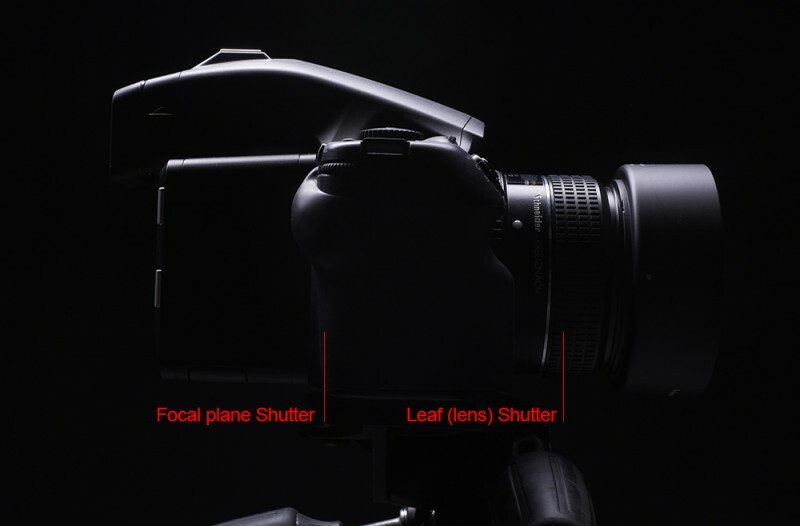 For people not familiar with Medium format and especially Phase One/Mamiya systems, these cameras have 2 shutters – a focal plane shutter as any other camera and a bladed Leaf Shutter in the lens which becomes active for high syncing with flash or can be set manually (please see the above image). Same thing happened to my DF+. At Photoservice I learned that XF has exactly same shutter mechanism (to my huge disappointment). Phase One had a decent opportunity to create a reliable body and failed. Looks like we are stuck with crappy bodies for a while. I do have the XF body and I confirm I had the same problem as DF/DF+ at about 50 000 actuations. I am looking very seriously towards a technical camera like Alpa but guess what shutter mechanism Alpa 12FPS has :(?